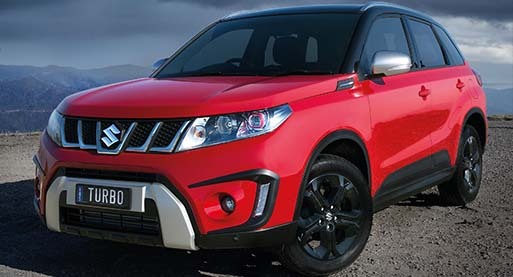 The Vitara is designed around the different things you do. The interior has a massive 375 litres of luggage space plus 60:40 split folding rear seats and a movable luggage board for total versatility. The lower tailgate makes for extra easy loading. 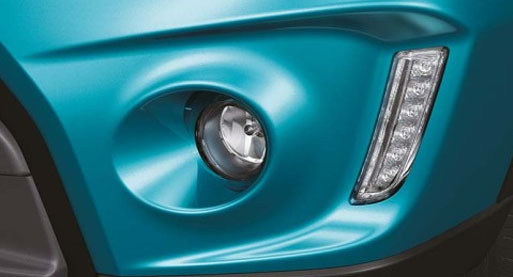 All models have the added safety of vertically aligned DRLs to increase visibility with ground breaking style. 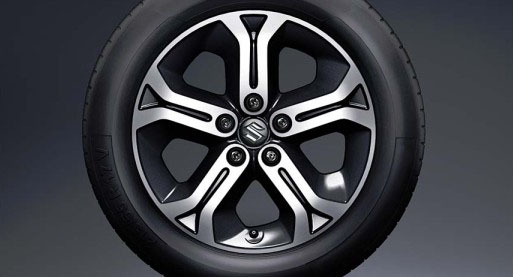 The Vitara has 17" Alloy wheels as standard equipment. Gloss paint on the GL+. Polished on the GLX model. 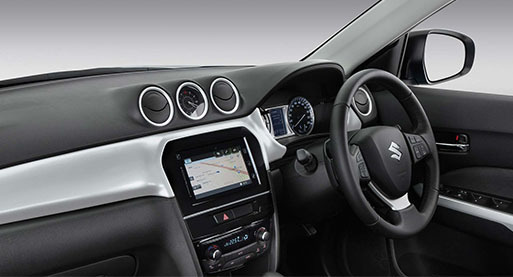 The spacious interior of the Vitara redefines Compact SUV comfort and driving intelligence, with a high level of finish throughout. 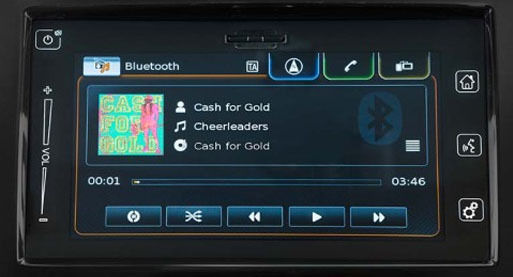 The dynamic dash design intergrates the 7-inch multimedia screen with reversing camera and intelligent multimedia satellite navigation system, allowing you to stay in control in the most intuitive and uncomplicated way, using voice recognition or touch. 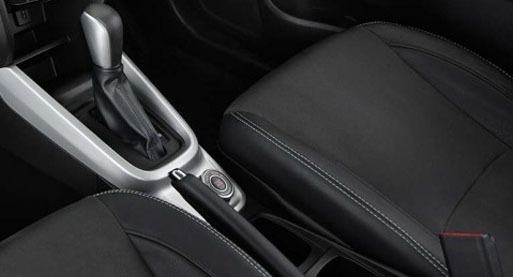 With a choice of cloth trim on the GL+ or leather and suede in the GLX and S Turbo, your comfort in style is assured. 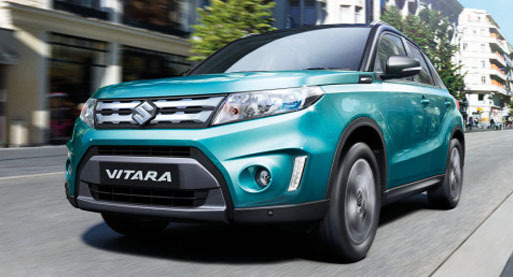 The Suzuki Vitara features SRS dual front, side, curtain and driver's knee airbags, as well as ISOFIX child seat anchorages to re-assure your safety is priority. 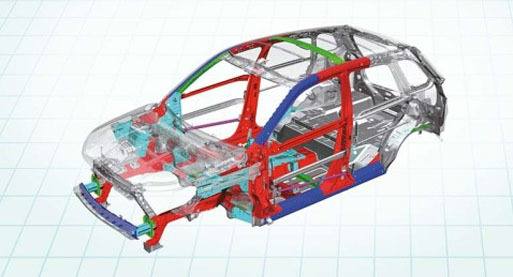 Total Effective Control Technology; Suzuki's bespoke safety cell designs build a shield around the occupants to protect them in timed of need. 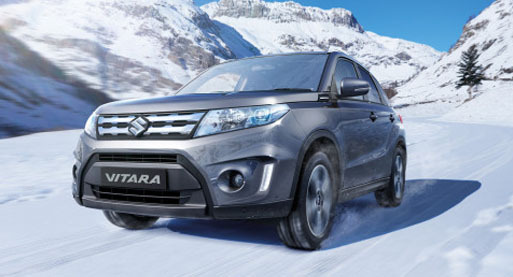 The new Vitara has all the latest braking technologies to assist keeping the vehicle stable and safe under the most trying of conditions, with the added inclusion of Electronic Stability Control (ESC), Electronic Brake force Distribution (EBD) and Brake Assist System (BAS). 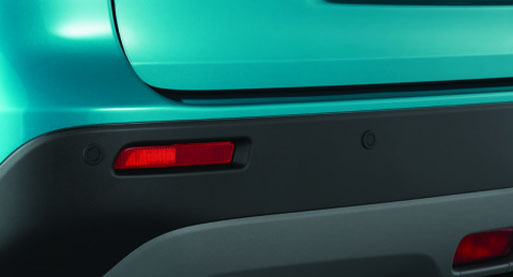 Reverse camera is fitted on all Vitara models and extra Front and Rear Parking Sensors are fitted on the GLX. 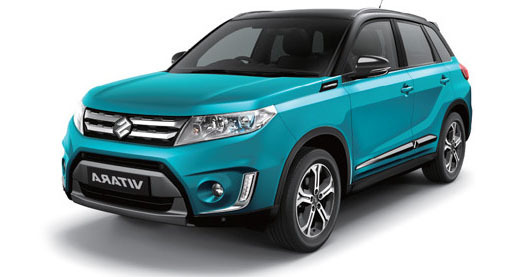 The all new Vitara GLX comes with ALLGRIP*, Suzuki's fully intergrated 4WD system, that maximises road grip while decreases running costs. 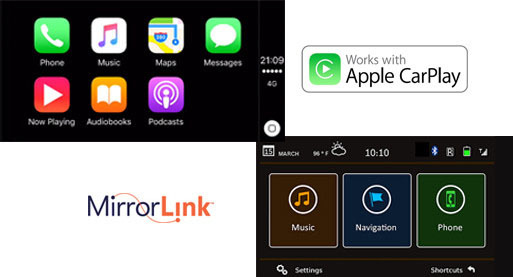 Choose from four driving modes with one touch of the dial. This system lets you rediscover what the compact SUV was always designed for: all-out adventure. Use Auto Mode for the city, as the system uses two wheel drive by default to prioritise fuel economy. "Sport mode" is ideal for sporty driving on twisty roads. The engine switches to characteristics that generates higher torque from lower throttle opening, improving throttle response. The system actively allocates drive power to the rear wheels which improves drivability whilst cornering. "Snow mode" uses 4WD on snowy or very slippery roads. This mode allocates the optimal drive power to all four wheels to support stable and safe driving. 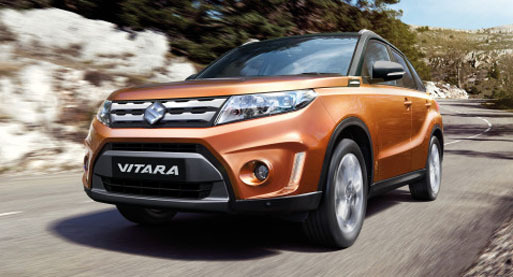 In addition the standard ESP traction control works to suppress wheel spin, further stabalising the vehicle. "Lock mode" is for when the vehicle needs maximum traction when encountering muddy or other slippery or rough road conditions. 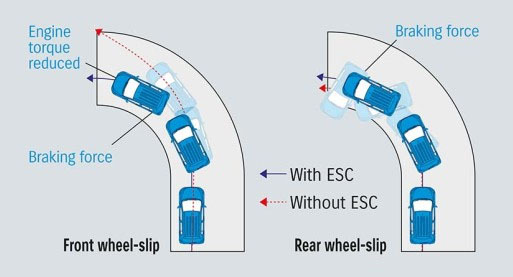 All four wheels are driven with a near 50:50 proportion of torque to the front and rear wheels, while the ESP system maximises traction control.